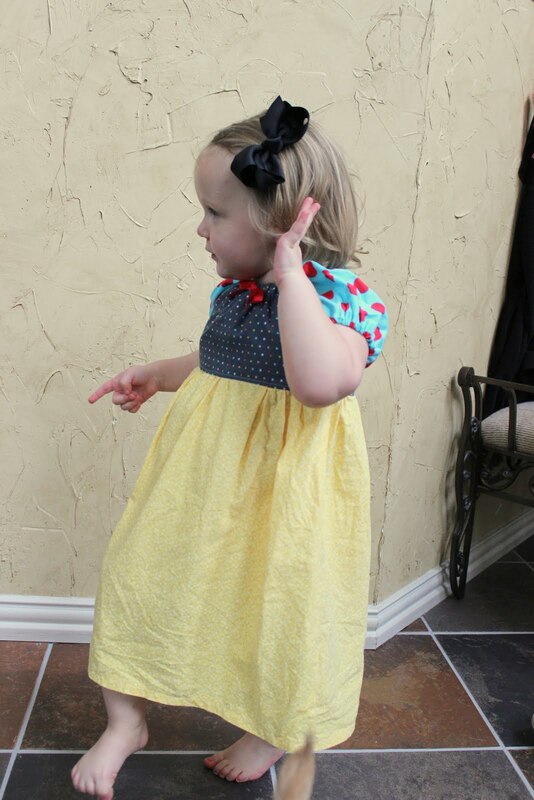 A few months ago, while on Pintrest (shocker), I came across a pin of these adorable princess dresses that were made from the exact same peasant dress pattern but with different color fabrics and prints. After some research, I found out that this gal sells these dresses on Facebook under My Kids Drawers. Adorable, right?! She has quite a waiting list to buy, but you could easily try your own hand at it if you know how to use a sewing machine. The peasant dress is about as easy as a pillowcase dress! I could not get her to put her tongue back in her mouth....stinker! 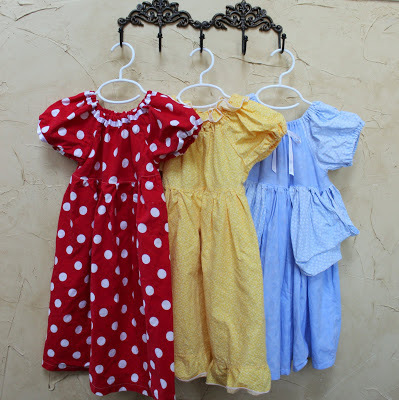 Here are the Minnie, Belle, and Cinderella dresses. 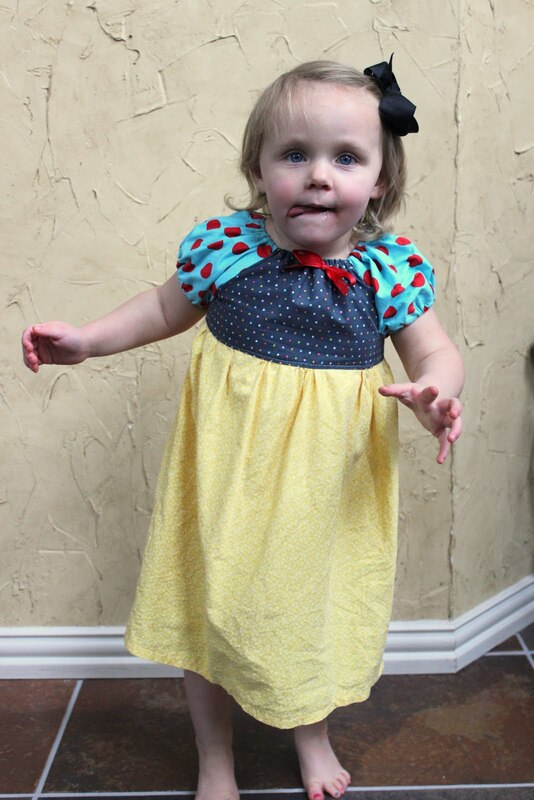 The trick is to find fabrics in a similar color to the princess dress. It doesn't have to be exact. You would be surprise at how easily it starts to become the princess by just having the right colors paired together. For instance, on the sleeve on Snow White I just looked for a red and blue-ish fabric, which I had in my stash already....I believe it's one of Michael Miller's dot collection. I found lots of red and white dot fabrics to pick from at JoAnn's for the Minne dress and same with the yellow for Belle and blues for Cinderella. Next to do is Merida and Rapunzel. Make sure to check out My Kids Drawers facebook page and thanks for reading my blog!